Almost all of Mexico's gasoline imports come from the United States. And maybe because of the commercial war that has existed since Trump came to power, AMLO has decided that the less they have to buy the annoying neighbor from the north, the better. The newly elected president of the Aztec nation said that in three years he wants to stop importing this product, wherever he comes from. To do this, it will promote the increase in the production of crude oil in the nation. "We will immediately reactivate oil activity, exploration and drilling of wells to have crude oil," he said before a meeting with those who will be members of his cabinet briefly. It will also try, he assured, to promote value-added fuels, and not because of the conflict with the United States. Oil imports have increased proportionally inverse to the national production of this product in Mexico under President Peña Nieto. So far, so far in 2018, the country has imported some 590,000 barrels per day of gasoline, in addition to 232,000 diesel. The national refineries are producing well below their capacities, which forces the country to look for energy resources abroad. 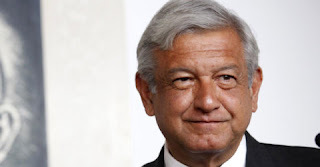 Besides promoting the extraction and refining of oil, AMLO proposes to build a new refinery to treat black gold that comes from the depths of Mexico. He calculates that he will have time throughout his term. Apart, plans to repeal Peña Nieto's energy reform of 2013 that meant the end of the monopoly of the Pemex oil company, a company that the new president wants to promote and reactivate.